THE Queen is dead. After a lifetime of waiting, Prince Charles takes the throne. He finally has power, but how will he rule? This is the premise for King Charles III, a future history by writer Mike Bartlett, which presents a tense moral dilemma for the current Prince of Wales, raising questions about Parliament’s powers, the monarch’s prerogatives, and how Britain is governed. The job of portraying on stage someone so familiar to all of us falls to Robert Powell; himself a household name. Former The Detectives star Powell says that the role presented him with a whole different problem from what is probably his most famous role as Jesus of Nazareth. “I can do rather a good imitation, and there may be certain little habits, such as playing with the lobe of the ear,” chuckles Powell, when asked about his approach. The stage and screen actor, who recently toured in Agatha Christie’s Black Coffee, does have the advantage of having met the future King: “He is utterly charming and Camilla is divinely funny,” says Powell, adding that it was the play rather than the chance to portray Charles that tempted him to take on the role. “I think Mike has written a quite brilliant drama; brilliantly constructed and very funny as well,” says Powell. Indeed, 2015 has seen The Guardian newspaper, after legal battles, publishing Prince Charles’ ‘Black Spider Memos’ to government ministers. Of course, the 800th anniversary has flagged up how Magna Carta, in setting out to curb a king, has also ingrained the idea of civil liberties. Powell also faces another tough ask – the play is written in modern-day verse. “It’s a massive learn!” he admits, adding that ‘improvising isn’t an option because it’s in iambic pentameters’! 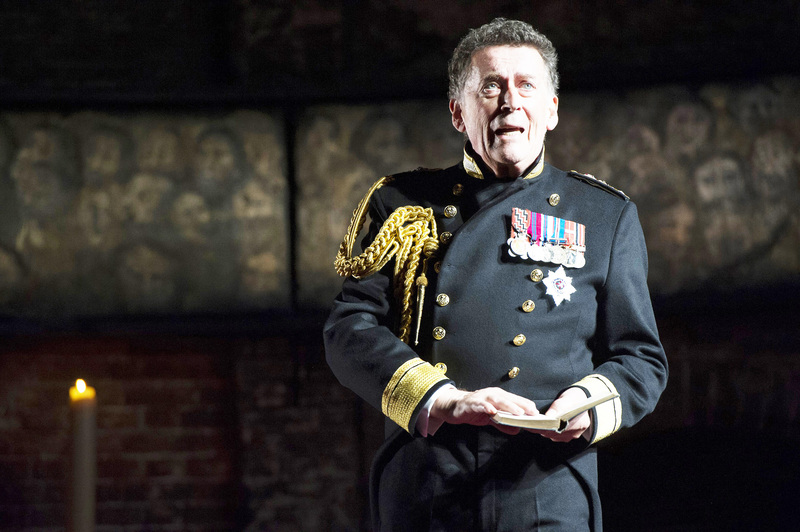 King Charles III will be at the Yvonne Arnaud Theatre, Guildford, from Monday, November 9 until Saturday, November 14. Call the Box Office on 01483 440000 or visit yvonne-arnaud.co.uk for full details.